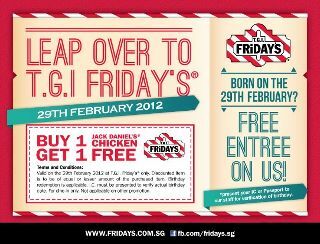 Valid on 29th feb 2012 at T.G.I. Friday's only. Discounted is to be equal or less amount of the purchased item. IC must must be presented to verify the actual birthday date. No applicable for other promotion.